May 19: Happy Endangered Species Day! Featuring the Endangered Ark Exhibit. 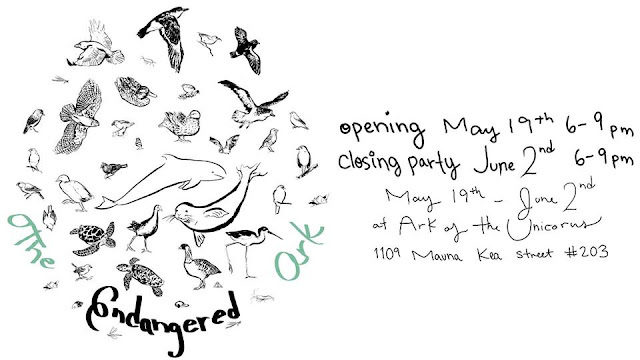 The Endangered Ark is a group exhibition to celebrate and support the endangered species of Hawai’i through art and community action. Taking place at alternative gallery space, Ark of the Unicorns, it will feature the work of eight Hawai’i based artists. Inspired by the recent political climate that has shown to be subversive to conservation goals, and specifically, the Endangered Species Act (ESA). The show will feature original work depicting the endangered and extinct species of Hawai’i and concepts surrounding endangerment. 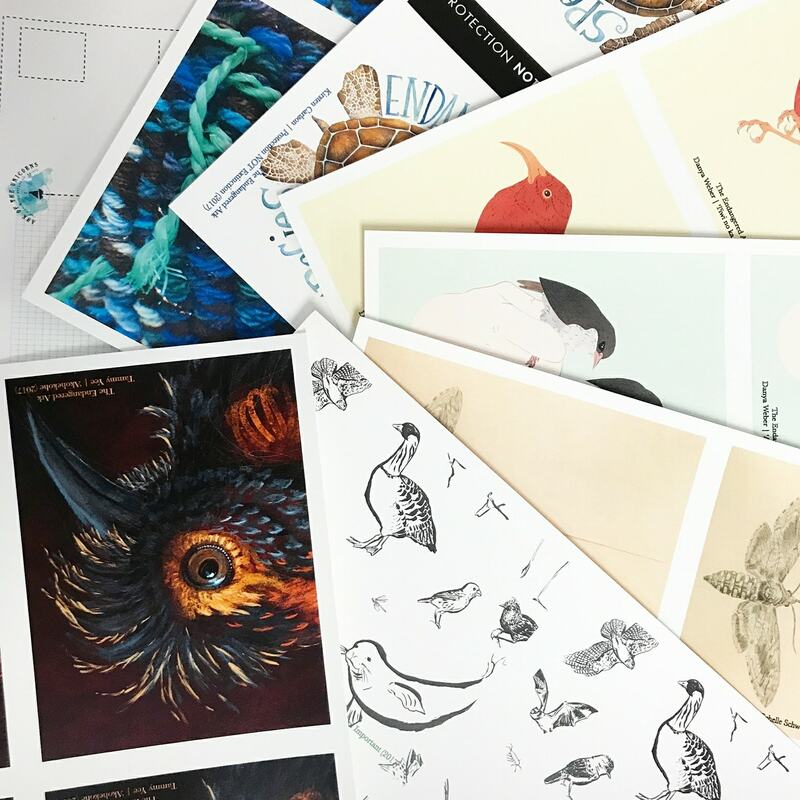 The Endangered Ark sets itself apart from other exhibits about endangered species with an interactive component that invites visitors to write on postcards about why they value endangered species protections. Postcards will be hung on a wall in the gallery and, after the closing party, they will be mailed off to relevant legislators and allies. 30% of proceeds from work sold will benefit Kaua’i Forest Bird Recovery Project to support on-the-ground efforts for endangered bird conservation.